When I think of awe-inspiring moments in my life — I’m talking about jaw-dropping occasions — my trip last August to Rwanda for an article I wrote for Elle Canada about a the SmartGirls initiative between Because I’m a Girl and SmartWater Canada comes to mind. From the excited, happy children so thrilled to see us in their little village to the safari we went on, where we saw hippos, giraffes and more, roaming freely, and so many more moments (too many to mention — but definitely the great group of women I was traveling with played a big part), I still feel overwhelmed with emotion and am grateful I had the chance to experience it. Awesomeness has a profound effect on us, it seems. In a new study conducted by researchers in Stanford University and University of Minnesota, it seems that these awe-inspiring moments make us feel as though we have more time and make us more patient, less materialistic and more willing to volunteer to help others. It does this by bringing us into the present and thus influencing our decisions, affecting our perception of time and it makes us feel that life is more satisfying. Here’s to more awesomeness all around. 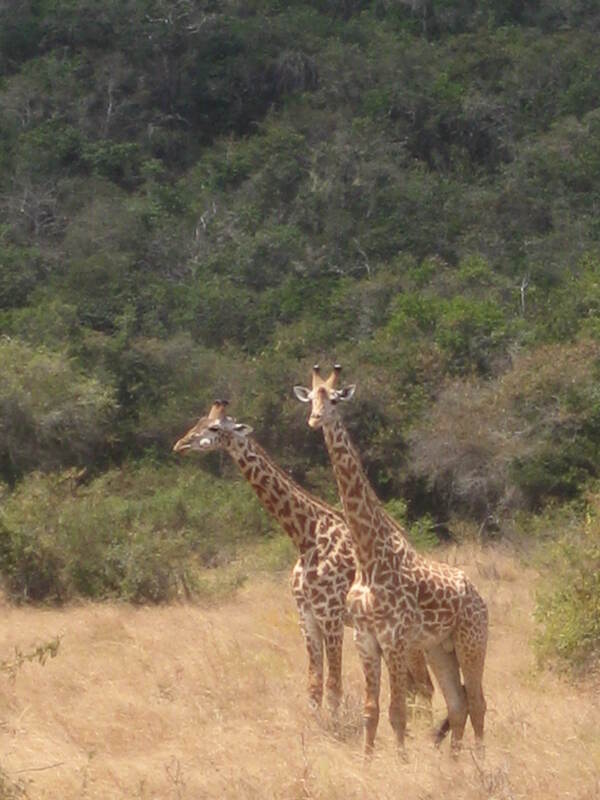 And more picnic lunches with giraffes. That was totally awesome. swimming with whale sharks off Cancun, snorkeling with giant manta rays in Palau, and photographing polar bears in Churchill Canada. Hi! Reading your post made me remember all the wonderful experiences while travelling. Though I haven’t seen giraffes and hippos yet, I can totally relate with the feeling you had with the children all over you.Where’s your next trip?